The city of Los Angeles has agreed to host the Summer Olympic Games in 2028 instead of 2024, the mayor's office and LA 2024 officials confirm. The deal will bring the Olympics back to the Southland for a third time since 1984 and 1932. News of the agreement opens the door for Paris to host the 2024 Olympic Games. 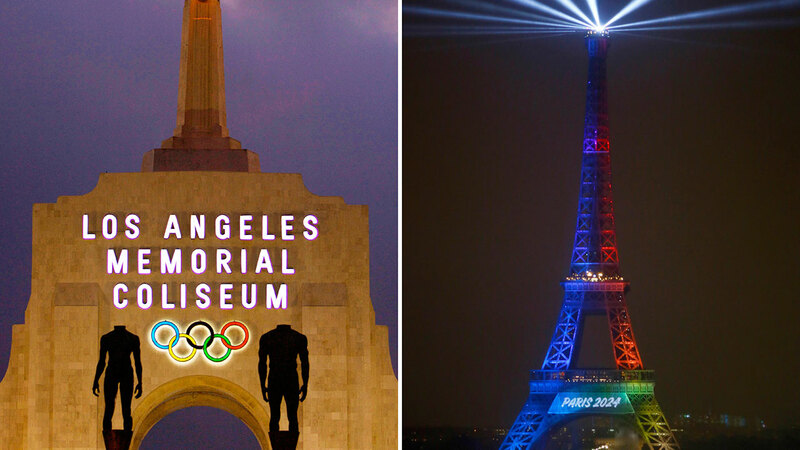 L.A. and Paris were the two remaining bidders for the 2024 Summer Games, but International Olympic Committee members had been divided since visiting both locations this year. An official public announcement from L.A. Mayor Eric Garcetti is expected to be made at a 5 p.m. Pacific Time news conference, city officials said.